Free Shipping. Quick Ship Item. Ships within 24 hours (monday-friday). Now you can have all the fresh, flavorful advantages of food steaming without the restriction of supplying distilled or demineralized water. It all adds up to greater convenience for you, EmberGlo Steamers feature dependable operation with low maintenance. 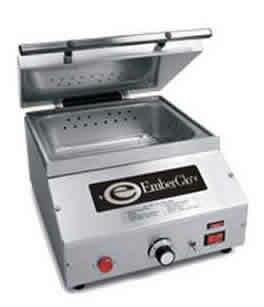 Coupled with a full 5 year warranty, the EmberGlo ES5 series steamer is well worth the investment.